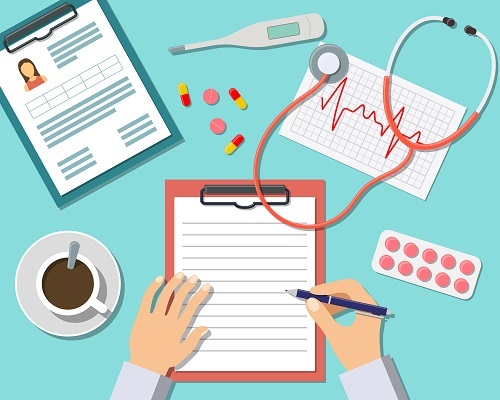 Even in today’s increasingly complex healthcare environment - where technology and new laws impact almost every aspect of medical billing and practice management - one of the most valuable tools to protect your practice is the most simple: your pen. Each medical record in your office is a living legal document. Ensuring that all of the documentation inside them is thorough, accurate, and legible should be a primary concern for every medical practice, but it’s not typically prioritized. How often do you review the completeness and quality of your medical documentation? Whether you use electronic health records, paper charts, or both, it’s crucial to revisit your documentation processes and procedures regularly to ensure that you’re keeping your malpractice risk to a minimum. Here are the keys to keep in mind. Having your providers dictate their notes into a recording device, then using transcription technology to turn the tape into documentation, is a smart strategy. Dictated notes help you ensure that the medical record has the “horse’s mouth” version of what happened in the exam room. Issues can arise from relying solely on transcripted notes, especially if transcription quality is poor or the doctor dictates too much or too little information. Know that all transcripted documentation should be reviewed before going into a medical record. All information relevant to a patient’s care should be documented, as should the rationale behind a doctor’s choice to pursue a given treatment path. Make sure you’re noting all discussions regarding patient education and consent, follow-up instructions, recommendations, test results, and the like. Non-clinical concerns, even some that feel relevant to the encounter, should stay out of the patient record. Avoid including any criticism of the patients’ prior care, any self-serving or accusatory language, or any derogatory or subjective comments. If you think your documentation is lacking, it’s wise to recruit help. Many practices use medical assistants or other personnel as scribes, tasking them with taking notes of the patient visit and/or comparing them to the transcripted notes. Having a scribe in the exam room also lowers practice risk by making another party to be witness to each encounter. Recruiting a scribe or training a qualified staffer to become one is different than throwing a random team member into the exam room and asking them to take notes. Don’t let anyone be involved in the documentation of an encounter without equipping them with education beforehand. In most instances, it’s wise to keep items in the record that relate to communications with your patient. Note or keep copies of the follow-up instructions delivered to patients and include printouts of any emails and all reports of tests and consultations. Be mindful of things that aren’t medical and thus don’t belong in the medical record. For example, it may make sense to you (since the medical record is a legal document) to include or make mention of any event reports related to risk management issues, but doing so isn’t appropriate. Make sure only clinically pertinent information gets documented in the medical record. Are you interested in learning more billing tips? Visit our blog!